By now, we’re all quite familiar with the kind of processing power established by the quad-core NVIDIA Tegra 3 processor. Naturally, the Asus Transformer Prime exceeded our expectations, as it seemingly kicked the door down and showed us why it’s one of the fastest things in the Android space. Well folks, considering that the newly available Asus Transformer Pad 300 is here and employing the same CPU, we’re curious to see how it compares in terms of raw processing power. As expected, we find the Asus Transformer Pad 300 performing exceptionally well out of the box, as it’s able to exhibit plenty of instantaneous operations. In fact, it barely shows off any stutter or slowdown with its movement, and simply goes to show that it’s a speed demon. 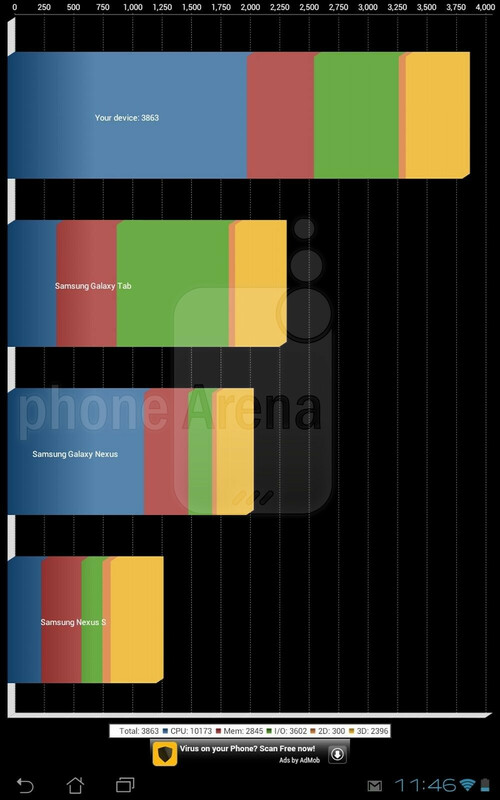 Moreover, it doesn’t seem even fazed or tested when using graphically intensive live wallpapers. So yeah, we have to admit again that this bad boy isn’t messing around when it comes down to muscle power – and of course, it helps that it’s running Android 4.03 Ice Cream Sandwich out of the box. Diving right in, the Asus Transformer Pad 300 doesn’t need benchmark tests to prove its speedy nature, but nonetheless, we have them for you. Running Quadrant, it obtains an average score of 3,872, which is still regarded as a top-notch score by today’s numbers. 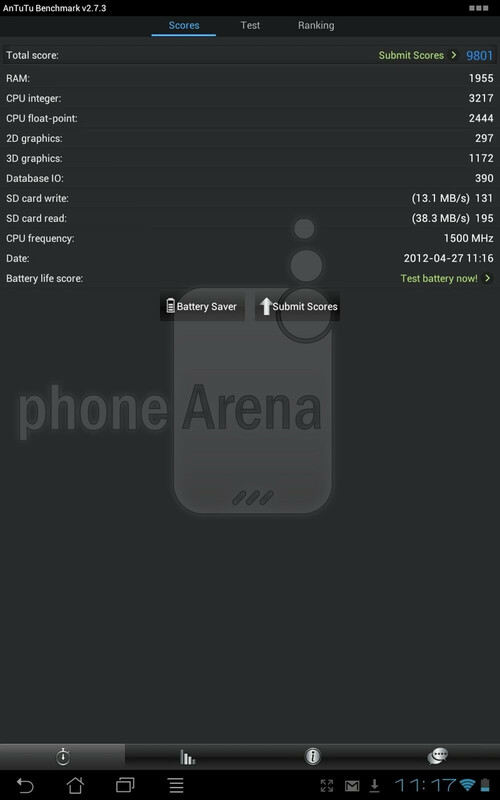 Secondly, we’re able to get an average score of 9,551 with the AnTutu benchmark. No question about it, the score is pretty admirable, but it’s only a tiny bit behind the 10,277 score we got out of the Transformer Prime. 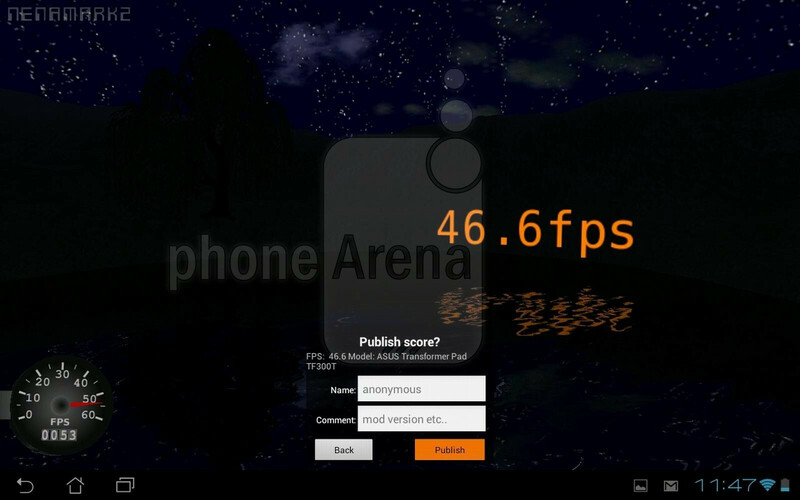 Lastly, it obtained an average score of 47.1 FPS with the Nenamark2 benchmark test. So there you have it people, the Asus Transformer Pad 300 puts out some better than average results, but ultimately, its real world performance out of the box gives us the best evidence of its prowess. Ice Cream Sandwich is indeed wonderful. It has changed what Gingerbread was. 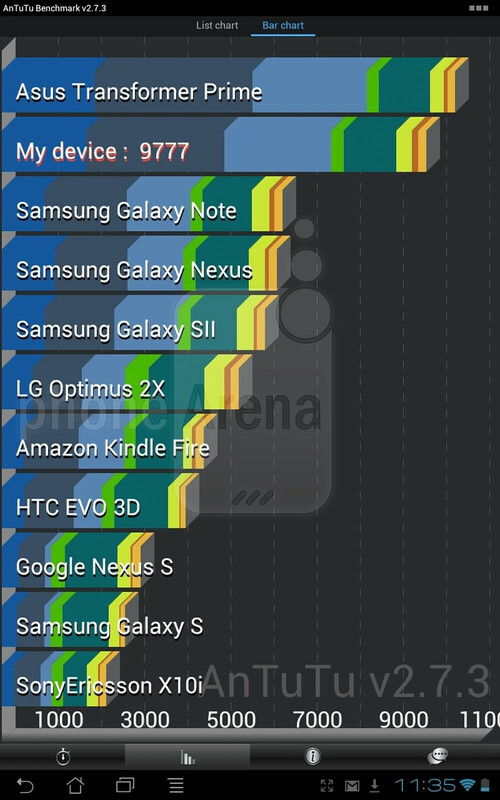 i got my tablet (stock rom, no root/overclock) to 50 fps, i think it should be getting more though imo.